Q. I would like to know what the pros and cons are in regards to putting on a metal roof over your excisting shingles verses removing the shingles, and also if the warrenty is any different if you leave the shingles on. Thanks for your time. A. Like all such questions, more details are required before a definitive opinion can be offered. But I can give you some guidelines here and my free booklet expands on most of these. To start, there are thousands and thousands of metal roofs installed over existing composition shingles and/or wood shakes that have been problem-free for decades - and show no reason why they won't continue to perform for decades to come. However, there are a number of individual site conditions that you should look for to help you determine if your job is a suitable candidate. Ideally a metal tile, shake or shingle roof should only be installed over one or, at most, two layers of existing roofing, and providing that the existing roof framing and decking is in good condition. A good way to determine "good condition" is to walk around on the roof you're considering covering to look for soft spots or evidence of weak, rotten, or compromised structural components. If there's any question about the integrity of such components, then removal should become an instant high priority. If the roof appears to be straight and solid, and there is no evidence of persistent leaks inside, then it's probably a good candidate for an over-top application. Assuming there are no apparent problems after such an inspection, then the other thing to do is have a look at the planes of the roof from the ground. If they all appear to be straight and true, then it's likely the structure beneath is sound. If visible "bellies" or depressions in the roof can be seen, then there's reason to investigate the structural components of the roof to make sure there aren't broken or overloaded rafters or trusses. Also, be sure to keep in mind that adding another layer of roof covering will raise the depth of the total roof covering. This may impact things like skylights, roof-to-wall flashings, dormers, roof-top HVAC equipment and other adjoining details. The extra height of the new roof assembly has to be considered in advance in order to avoid potential problems in these regards. Finally, any metal roof installed over an existing roof covering requires that the installer be able to securely fasten the new roof to the existing rafters or deck. This requires that the nails or screws used are long enough to penetrate all of the existing layers AND the wood deck beneath in order to assure proper mechanical attachment of the new metal roof. If it can't readily determine how such secure attachment can be accomplished for your particular application, then removal of the old roofing material is likely required. 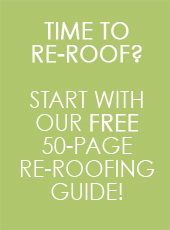 If the right site conditions exist, and an installer is comfortable with the job, then installing a metal metal roof over an existing roof is not only environmentally superior (saves more debris from our landfills), but it can save money and provide a job that will perform as well as any other type of installation for many, many decades to come. Regarding the seond part of your question - installations of this type over approved substrates are covered by the manufacturer's warranty and should in no way compromise the longevity and performance of the metal roof. 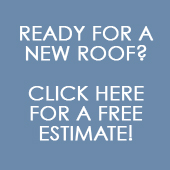 Thanks for the interest, and good luck with your new roof project!